Doesn’t that spread look delicious? 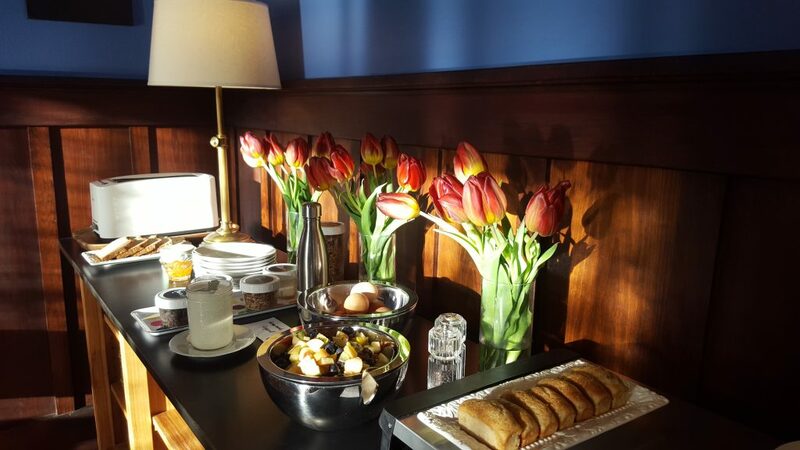 It’s easy to eat gluten free for breakfast when you’re staying at The Fairview. But what about all the other delicious food and restaurants you hear about in Austin? How do you know what is verifiably gluten free AND great tasting? Well, we know and we can fill you in. From old line Austin restaurants to trendy new hot spots, food trucks to cocktail bars, we’ve tried a lot of them. And if we haven’t been there ourselves, many of our guests have and share their thoughts with us. Here’s the skinny on many of the great places in Austin to find gluten free dining. Many of the restaurants on our list are an easy walk from The Fairview. Some on South Congress are just a few blocks, others are just downtown within 1-2 miles. If you want to visit others that are further away or just don’t feel like walking, we highly recommend Ride Austin. Convenient to book, low price, great service, and you can round up your fare to support local non-profits. And of course, the best place to stay is right here at The Fairview. Check our availability and come visit us soon! Everything on this page is our personal opinion based on either direct knowledge or information passed on to us by guests. We do our best to be accurate but things change and we don’t always know that. Of course, we welcome any updates and feedback. As always, your health is in your hands and you should always make sure to verify that any food you are being served is safe for your specific allergy or sensitivity. Gluten Free Menus: Do menus indicate gluten free dishes or is there a separate gluten free menu? Trained Staff: Is the staff knowledgeable on food allergy/sensitivity issues such as cross contamination? Menu Mods: Are they open to modifying menu items on request? Fairview Recommends: Have we done a more extensive review on our blog? Note: On mobile devices click the Plus Icon before the Name to see all details.